It has been such a long week for me and yet the days keep flying by. After the last post, I started searching for pictures of Afro Latinos and I came across the one above. 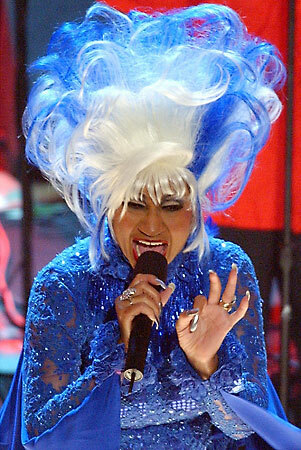 I cannot believe with all the posting that I did last February that I did not write anything about the great Celia Cruz. Growing up in my house would have never been the same without hearing music from Celia Cruz. It seemed like every family cookout we were serenaded by her various albums. I feel like she had a greatest hits album when I was just a kid. There were so many songs that I could sing when I was kid that I had to search for them when I was adult. I could remember my father making tapes from vinyl and her music was always on heavy rotation. When I think about the golden age of salsa, which is clearly before I was born, one of the people I think about was Celia. What struck me the most about her music was seeing her perform on tv. I was not used to seeing someone who looked like they could be a member of my family performing salsa on television. I was awe struck almost expecting someone who looked completely different. After all, from what I saw from on Univision, Telemundo, and any album covers were light skinned Latino men with light skinned Latinas. While I am not too educated on her entire life I do know that she was born on October 21, 1924 in Havana, Cuba. She spent most of her life performing and has earned 23 gold albums. She has won 7 Grammys and while that is impressive in itself, I can only imagine how many she would have one if they recognized her contributions to music early on. I counted over 60 albums to her name and in my research I hear that number could be as high as 80. In any case, she a woman that loved music deeply. I think about that. Over 60 albums! I personally have 45 of her songs. That is a mere fraction of her collection. That can be so hard to fathom when I think about all the other artists I follow in which I have all their albums. Not to mention that I have none of her recent songs because most of what I have is from what I remember hearing as a kid. Celia died of a brain cancer New Jersey on July 16, 2003. Her title has not been and will never be revoked. She is the Queen of Salsa. You're the coolest. Thx for this post.